Tuggle’s writing is lyrical and poetic. She refuses to spoon-feed her readers, instead inviting them to mull over the story, perhaps re-read sections, and ponder the reading. Her expertly-crafted sentences are clad in words befitting their message, saying just enough to allow the reader to find the pieces of the many puzzles in the story. Tuggle’s words spin ordinary farm life into gold, without sugar-coating the dirt. Lights on the Mountain is filled with purposeful pain, glazed with moments of joy. How else could the story of a boy-becoming-a-man be genuinely told? The readers follow pensive Jess Hazel from his late boyhood through the moment when he fully embraces his adult responsibilities. Constant to his tale is the everyday glory of life on the farm. A host of colorful characters appear in different parts of his life, and not until the end of the book does the reader fully understand each one’s significance. True to life, some parts of this account leave the reader hanging until the parts come full circle, and there is beautiful completion. This book is an interesting blend of thoughtful words, difficult subject matter, complex characters, deep faith, and simple glories. 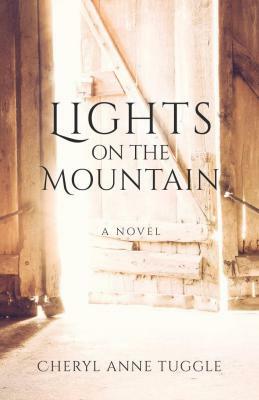 Readers will come away from reading “Lights on the Mountain” knowing that their time was well spent. I’ll warrant that many of them will read the book again, to revisit the characters and gain further insight into the puzzle pieces that they missed the first time around. I am particular with my fiction selection, and I will be among those re-readers. By the way, according to my research, Tsura is a Romanian name. It means "light of dawn." You’ll find that interesting when you read the book.